Asian Americans are understudied in health research and often aggregated into one homogenous group, thereby disguising disparities across subgroups. Cambodian Americans, one of the largest refugee communities in the United States, may be at high risk for adverse health outcomes. 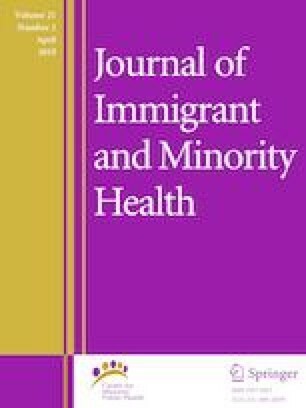 This study compares the health status and healthcare experiences of Cambodian American refugees and immigrants. Data were collected via questionnaires and medical records from two community clinics in Southern California (n = 308). Chi square and t-tests examined the socio-demographic differences between immigrants and refugees, and ANCOVA models compared the mean differences in responses for each outcome, adjusting for age at immigration, education level, and clinic site. Cambodian American refugees reported overall lower levels of health-related quality of life (all p’s < 0.05 in unadjusted models) and self-rated health [unadjusted means (SD) = 18.2 (16.8) vs. 21.7 (13.7), p < 0.05], but either similar or more positive healthcare experiences than Cambodian American immigrants. In adjusted analyses, refugees had higher rates of diabetes and cardiovascular disease risk (e.g. heart condition and hypertension; p’s < 0.05) compared to Cambodian American immigrants. There were minimal differences in self-reported health behaviors between the two groups. There is a need for more health promotion efforts among Cambodian American refugees and immigrants to improve their health outcomes and perceived wellbeing. The views expressed in this article are those of the authors and do not necessarily reflect the views the Agency for Healthcare Research and Quality or the U.S. Department of Health and Human Services. This study was supported by the National Institute of Mental Health (Grant No. R01 MH091221), National Center for Advancing Translational Sciences (Grant No. UL1 TR0001414), Maternal and Child Health Bureau (Grant No. T16MC06956), and Health Resources and Services Administration (HRSA) University of California Leadership Education in Neurodevelopmental and Related Disorders Training Program (Grant No. T73MC30114). U. S. Census Bureau. American FactFinder: Asian Alone or in any combination by selected groups. https://factfinder.census.gov/faces/tableservices/jsf/pages/productview.xhtml?src=bkmk. Accessed 2 Mar 2018. Pew Research Center. U.S. Cambodian population living in poverty. http://www.pewsocialtrends.org/chart/u-s-cambodian-population-living-in-poverty/. 2015. Accessed 11 Nov 2017. Pew Research Center SaDT. U.S. Hmong population living in poverty. http://www.pewsocialtrends.org/chart/u-s-hmong-population-living-in-poverty/. 2015. Accessed 1 Mar 2018. Prevention CfDCa. About adult BMI. http://www.cdc.gov/healthyweight/assessing/bmi/adult_bmi/index.html. Accessed 10 Jan 2017. Centers for Disease Control and Prevention. Physical Activity Basics. https://www.cdc.gov/physicalactivity/basics/index.htm. Accessed 11 Nov 2017.